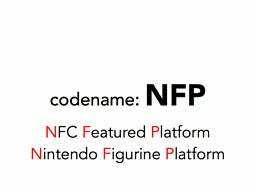 A curious bit from Nintendo's Financial Results Briefing is the confirmations of Nintendo's very own NFC powered figurines. They will be compatible with both Wii U Gamepad and 3DS and will be used in multiple games. Looks like an early 2015 release target is on the cards, with the possibilities truly immense just from the Pokemon side of things.